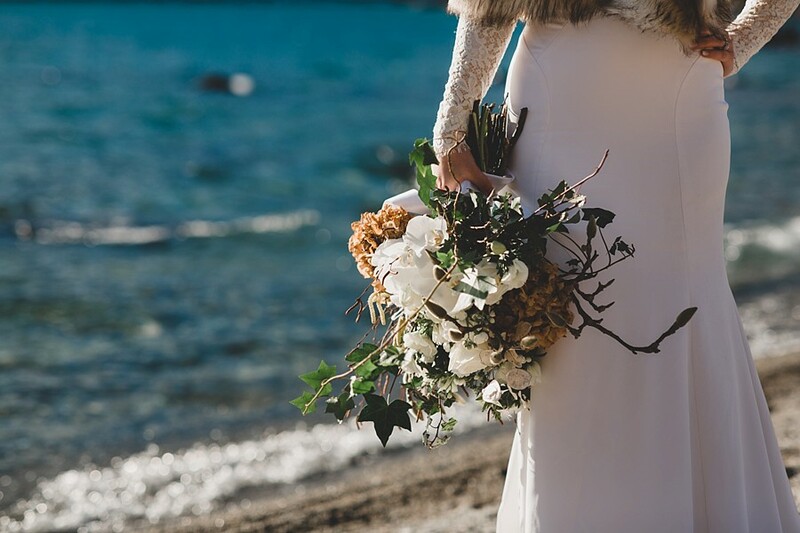 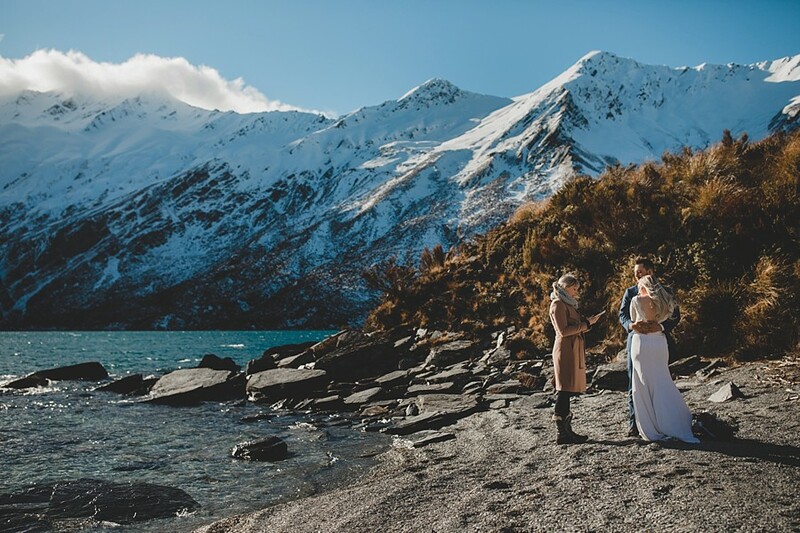 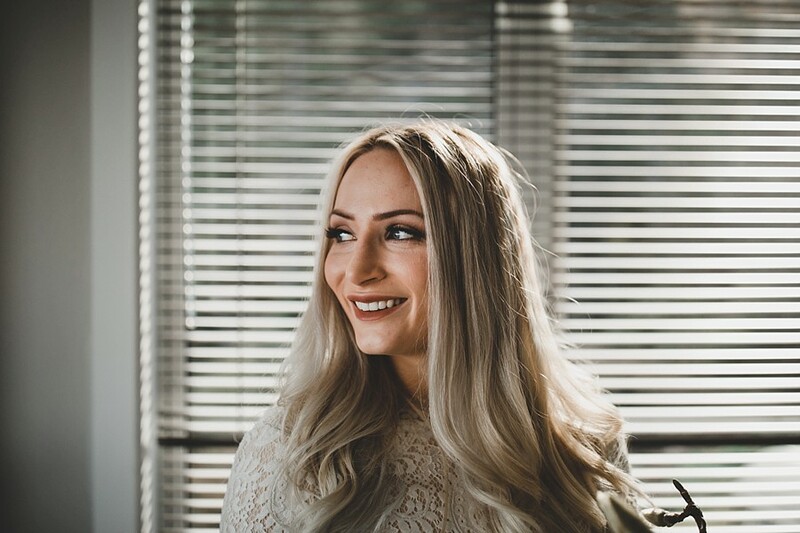 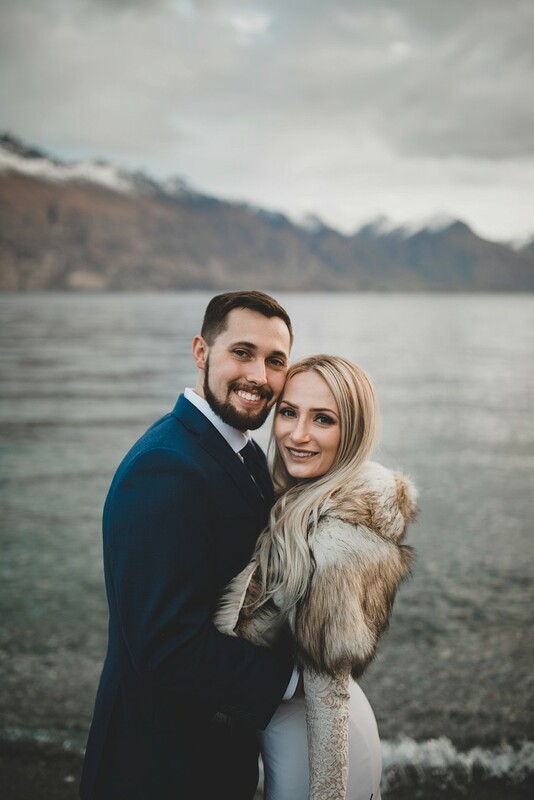 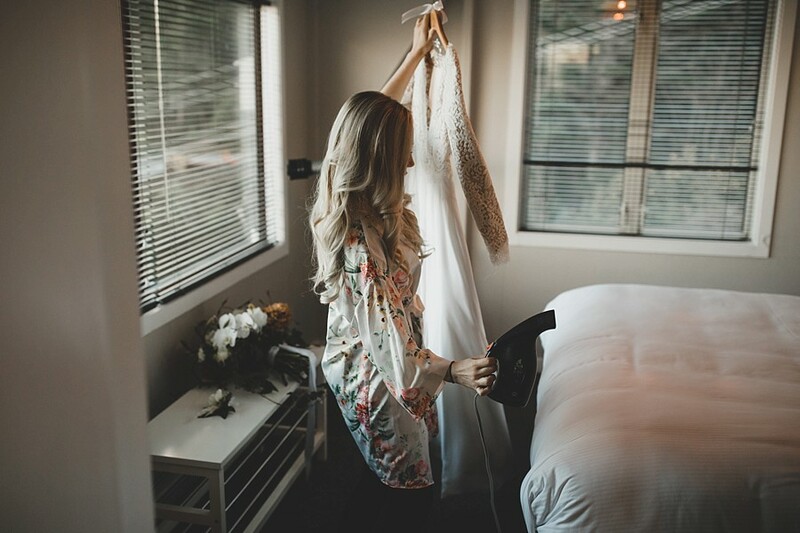 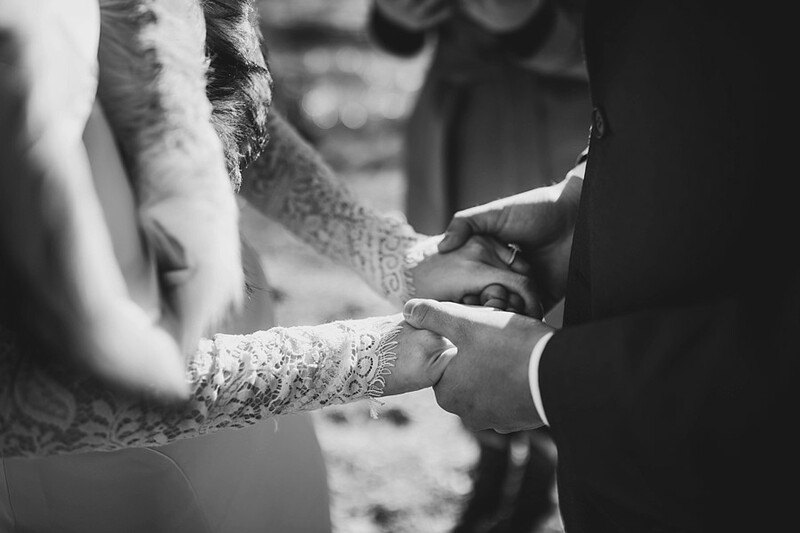 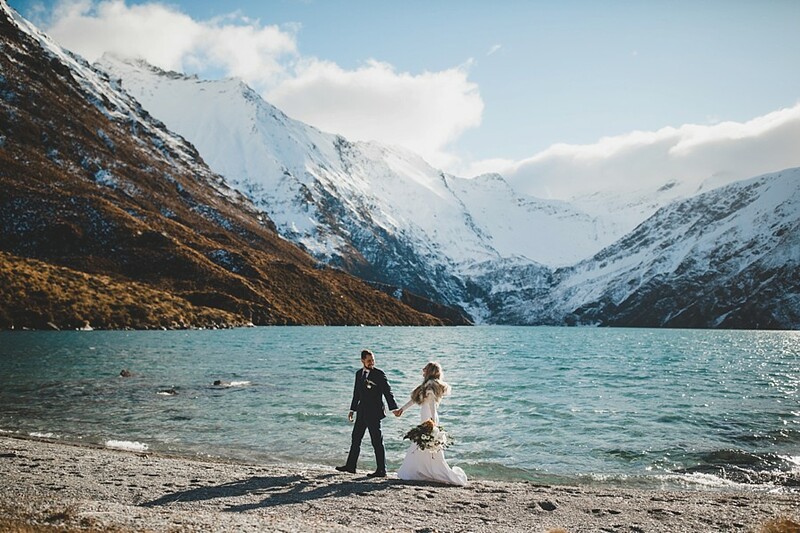 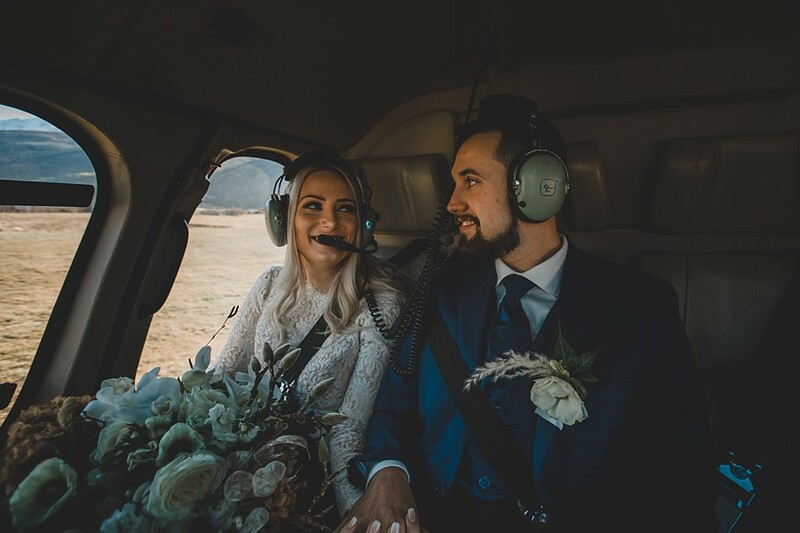 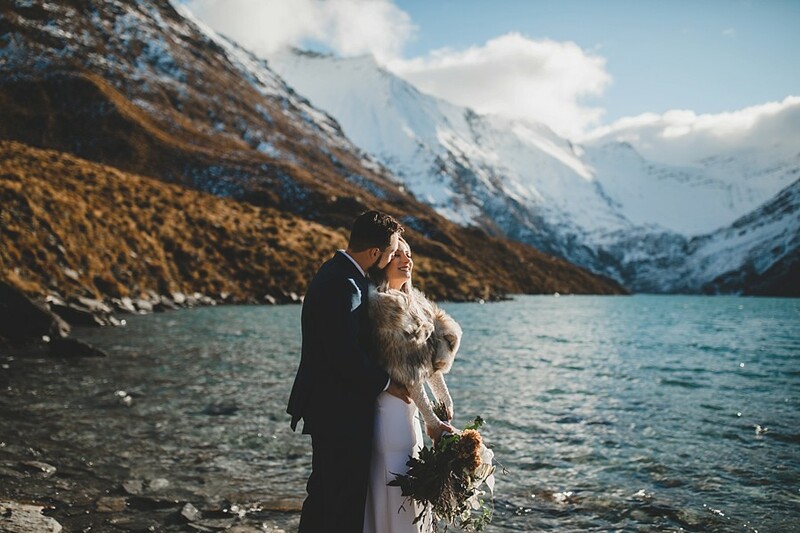 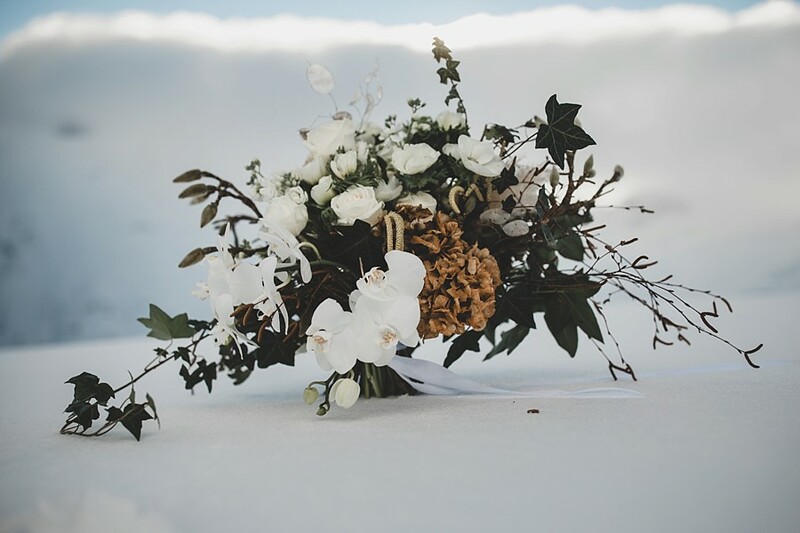 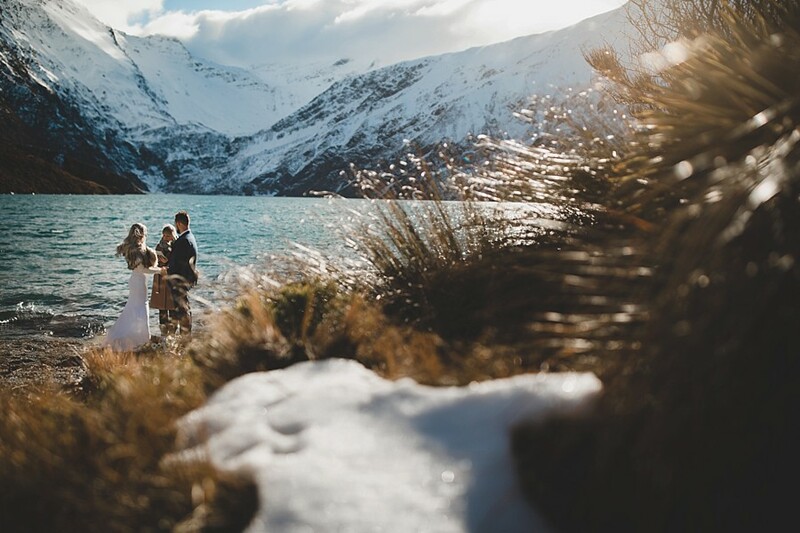 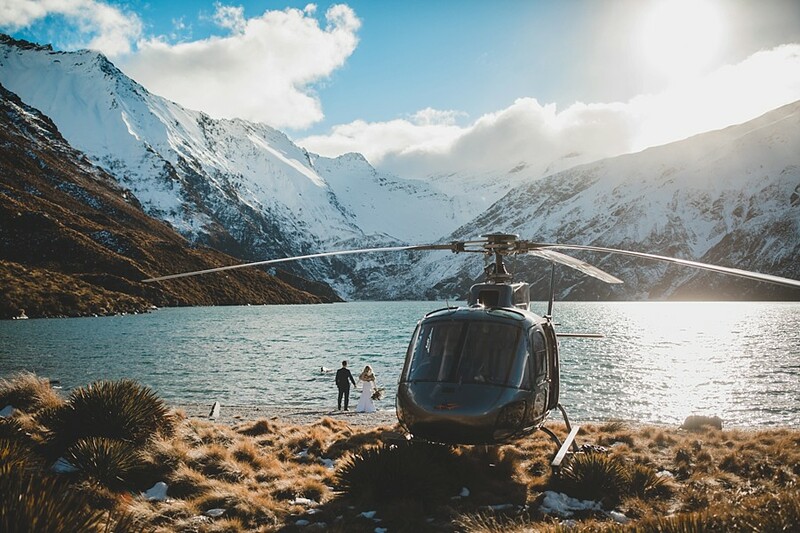 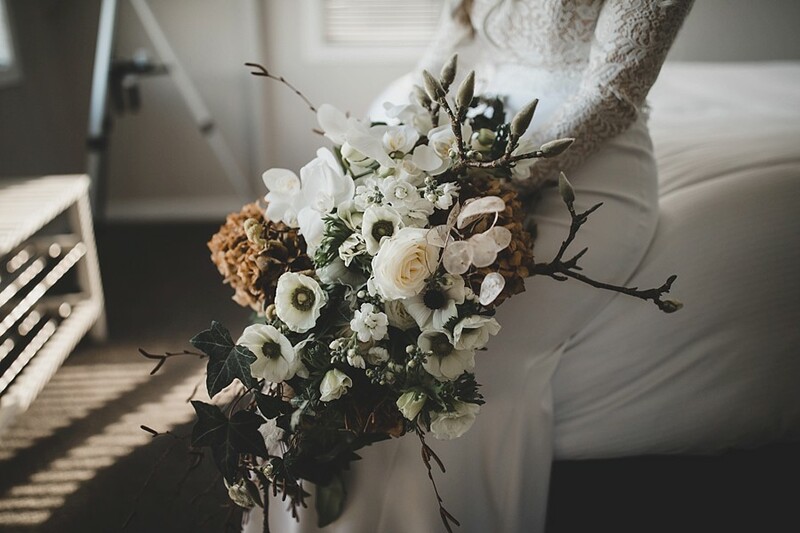 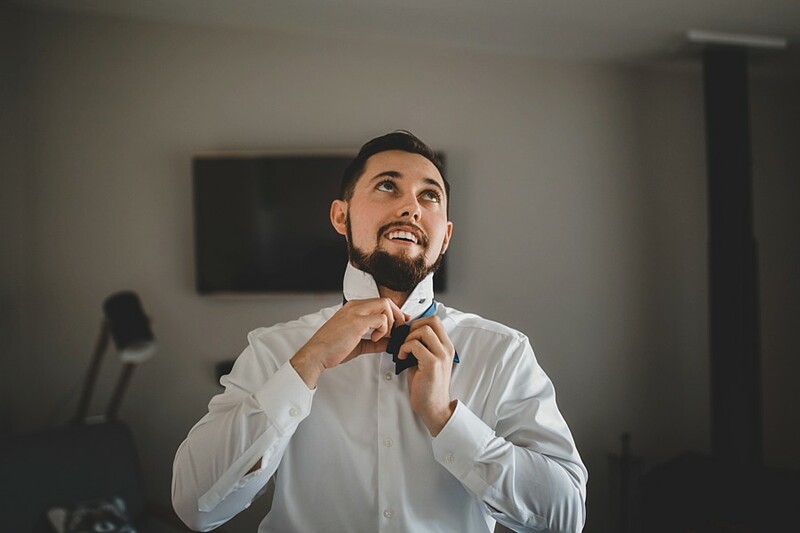 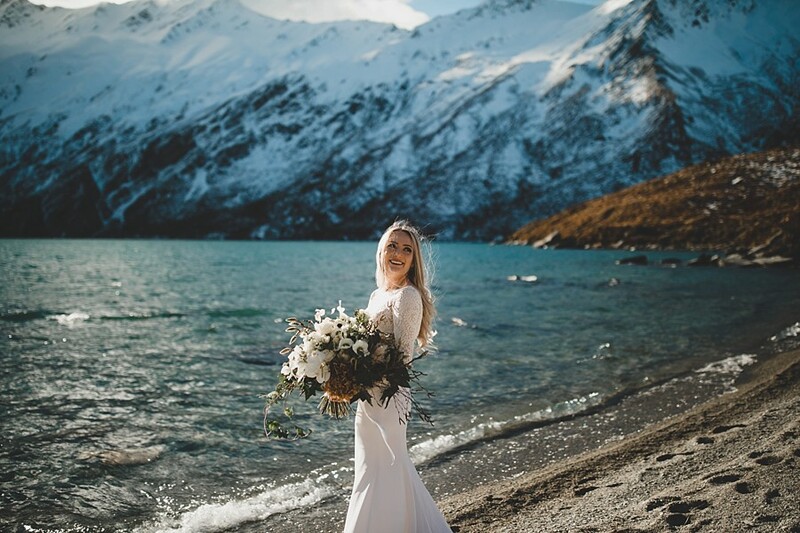 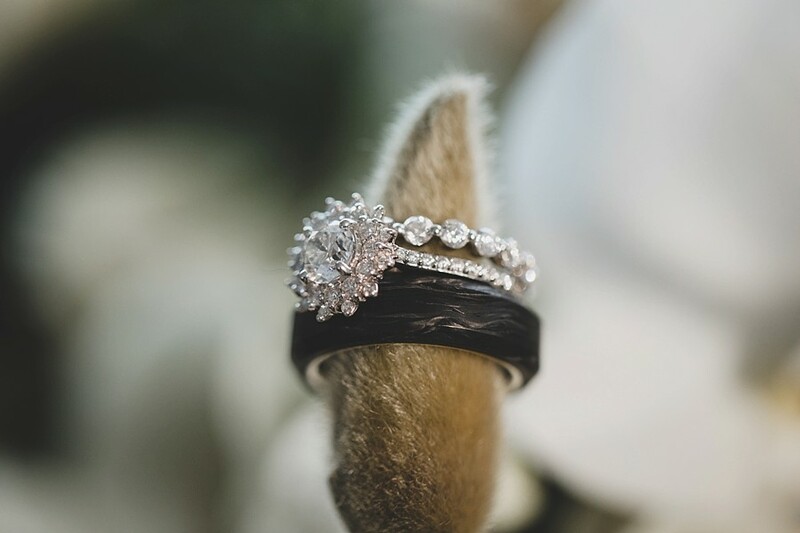 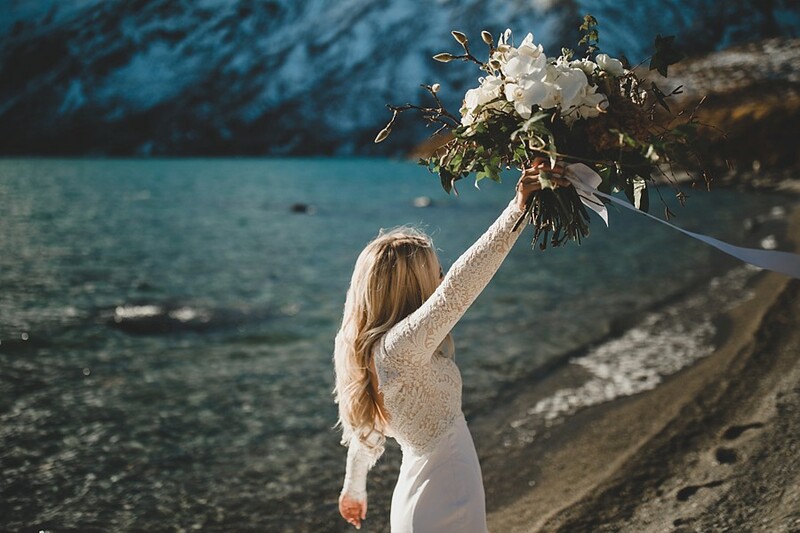 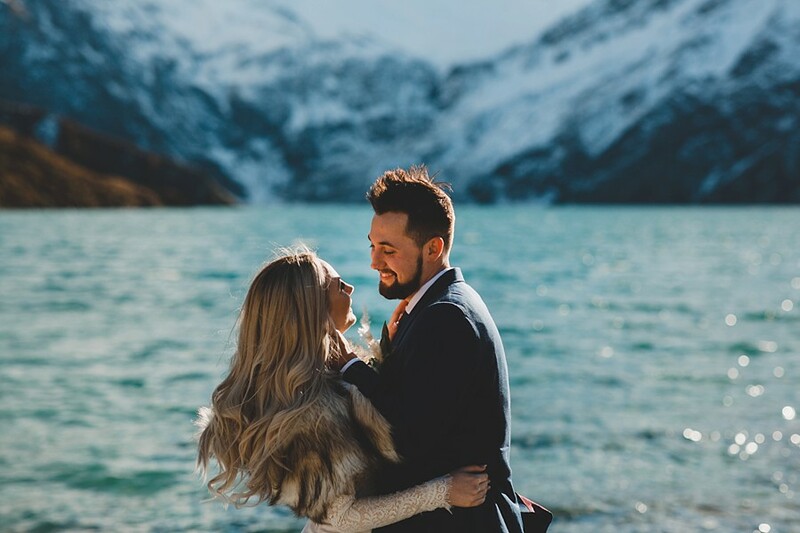 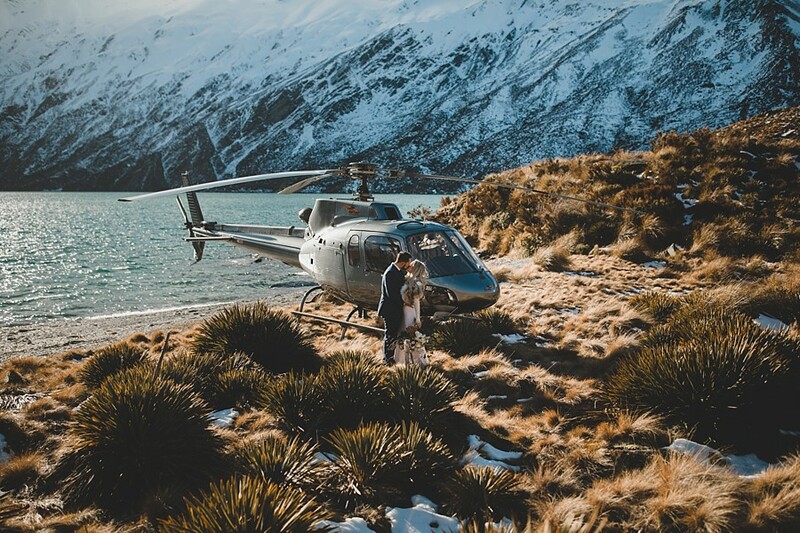 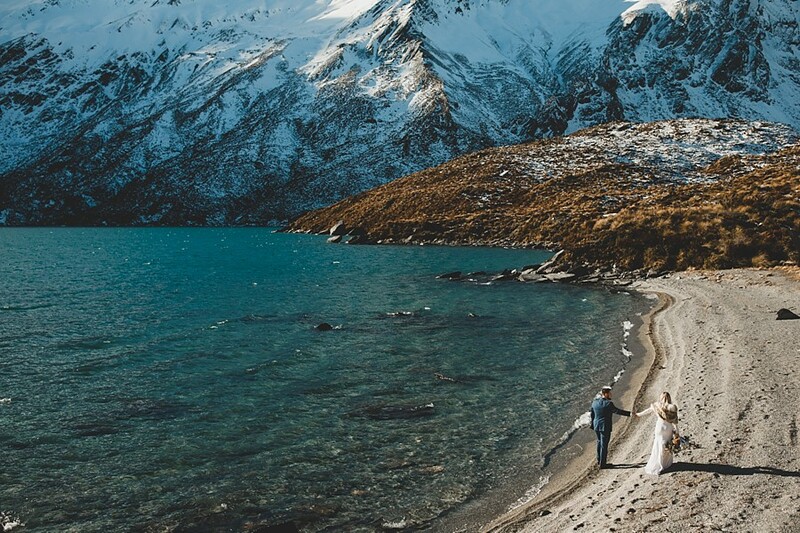 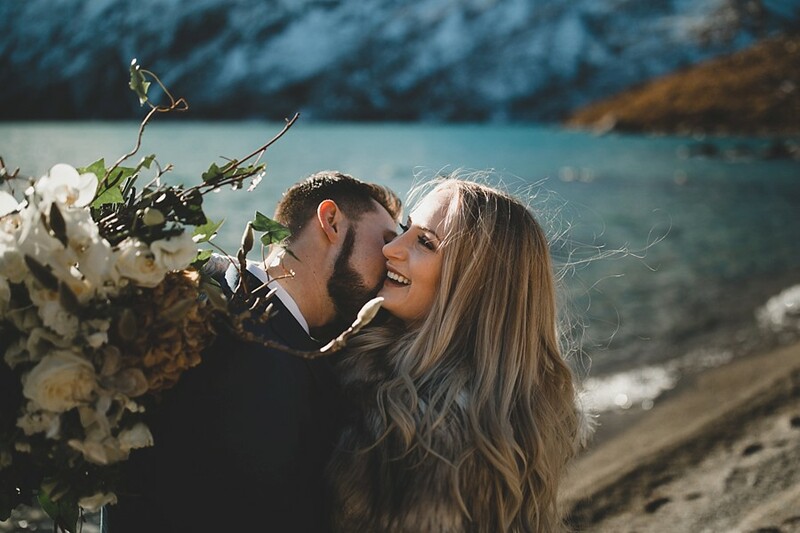 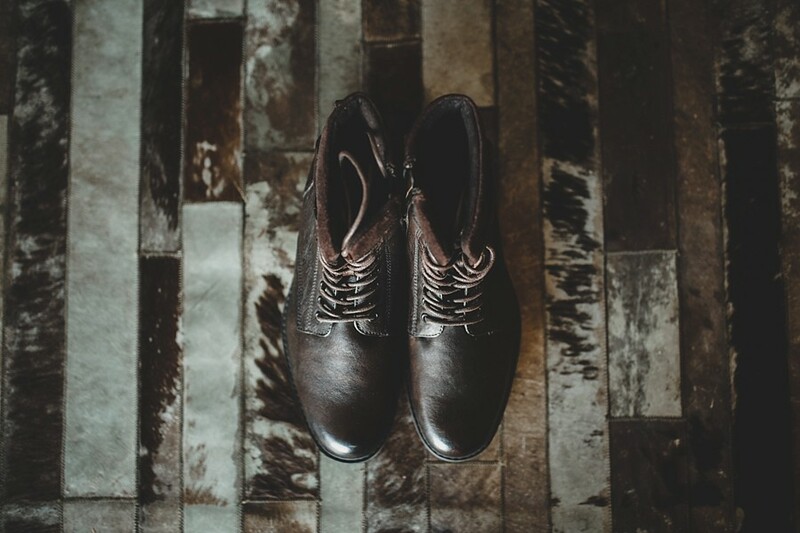 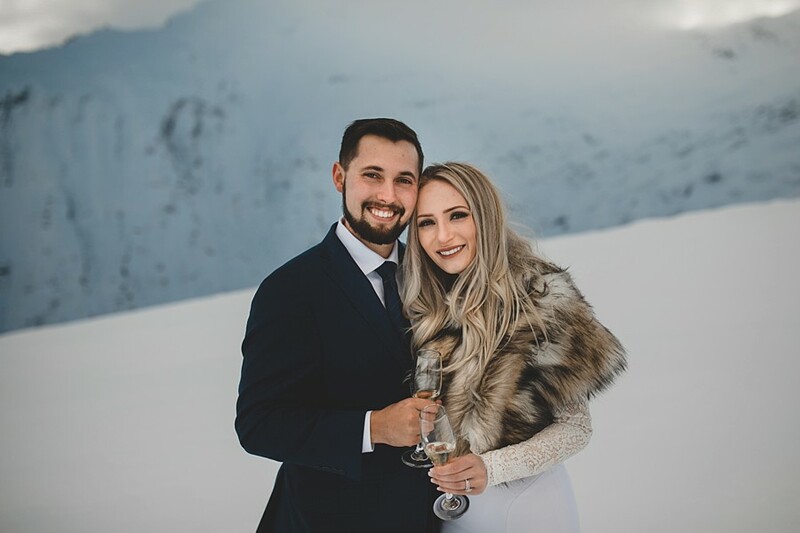 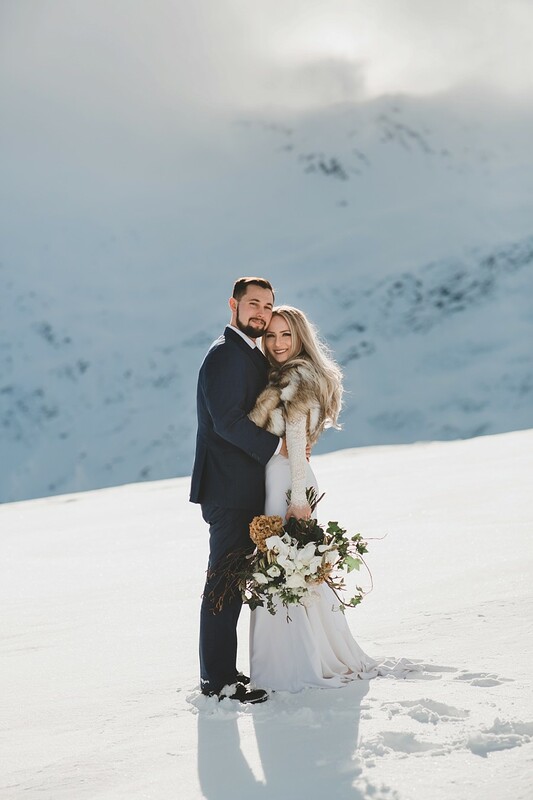 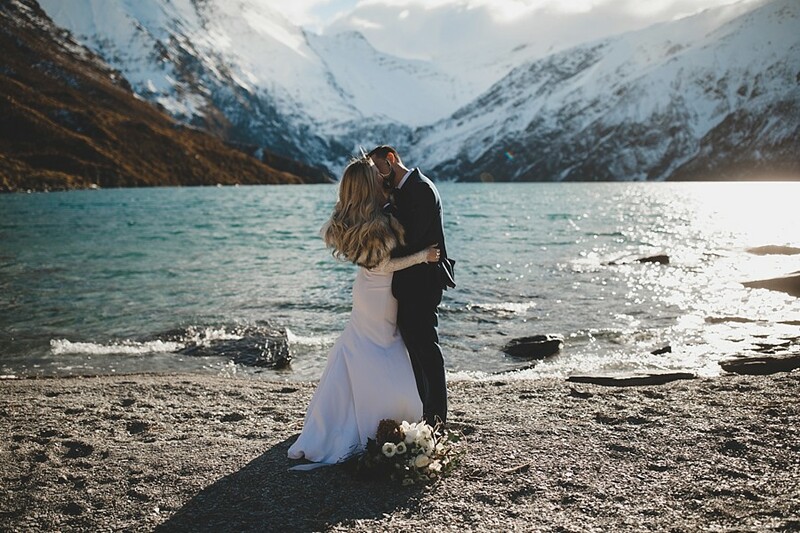 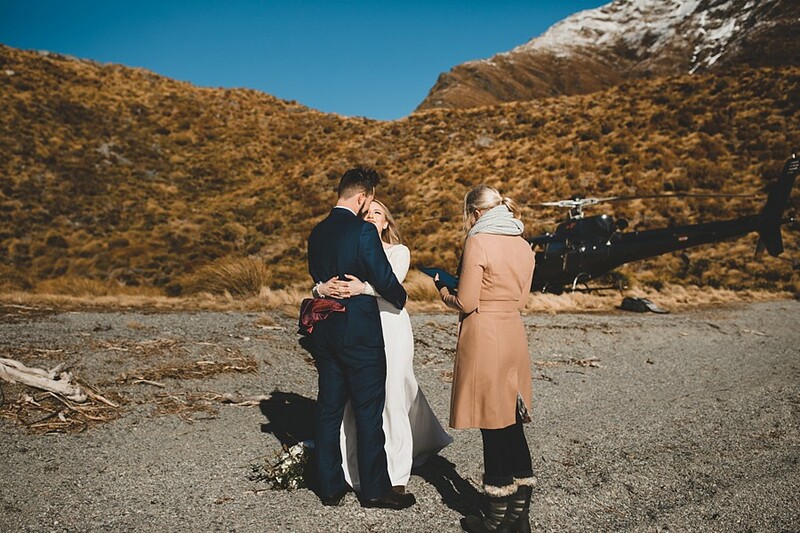 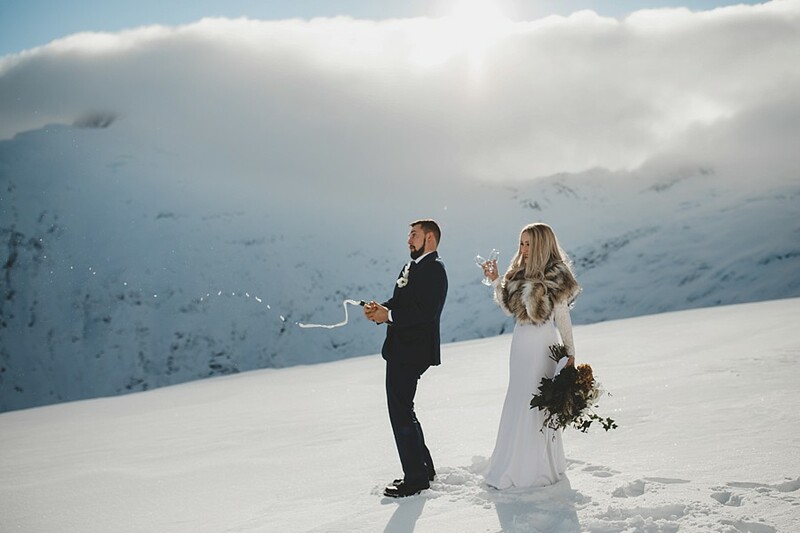 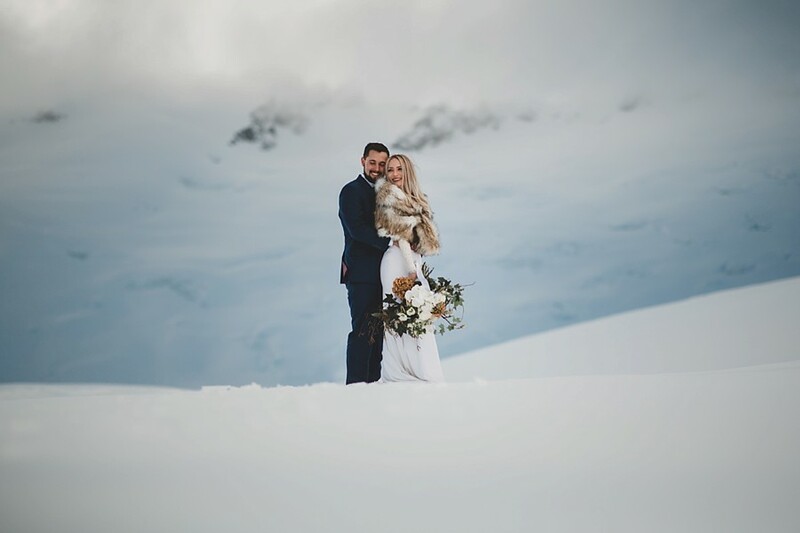 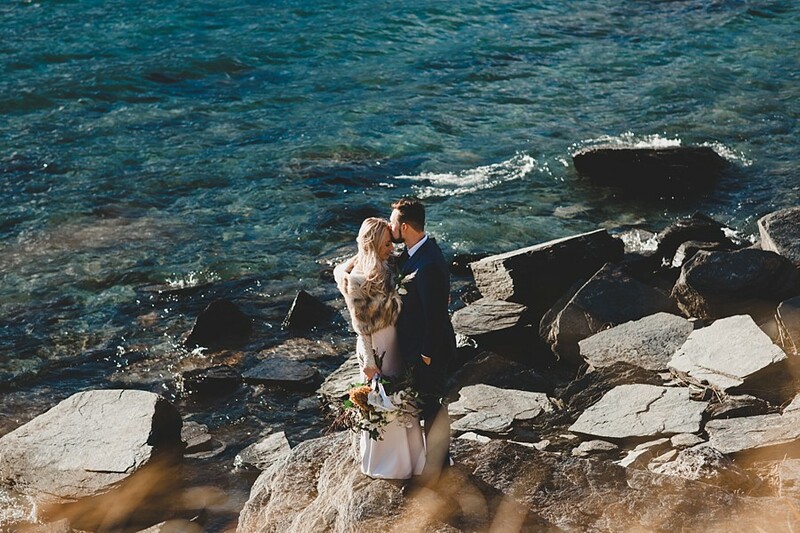 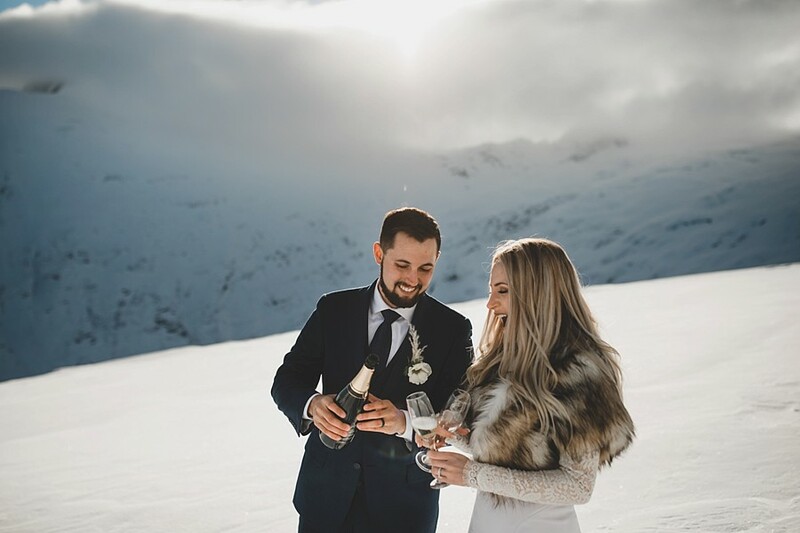 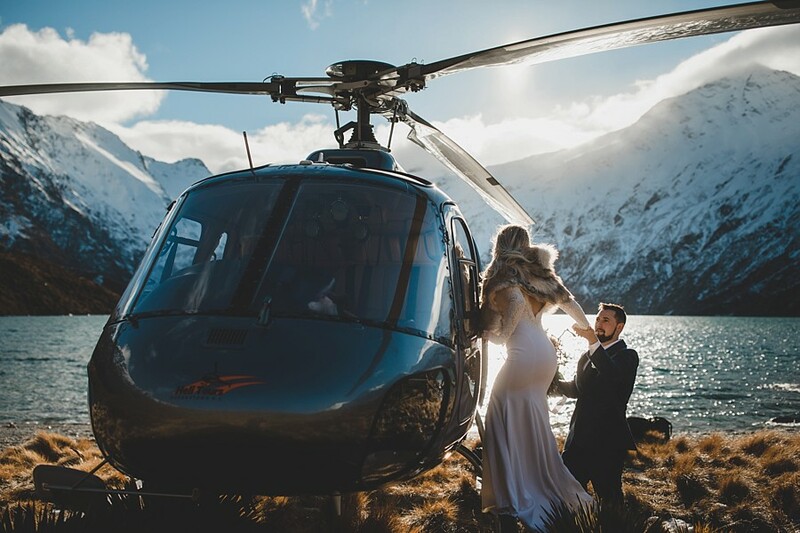 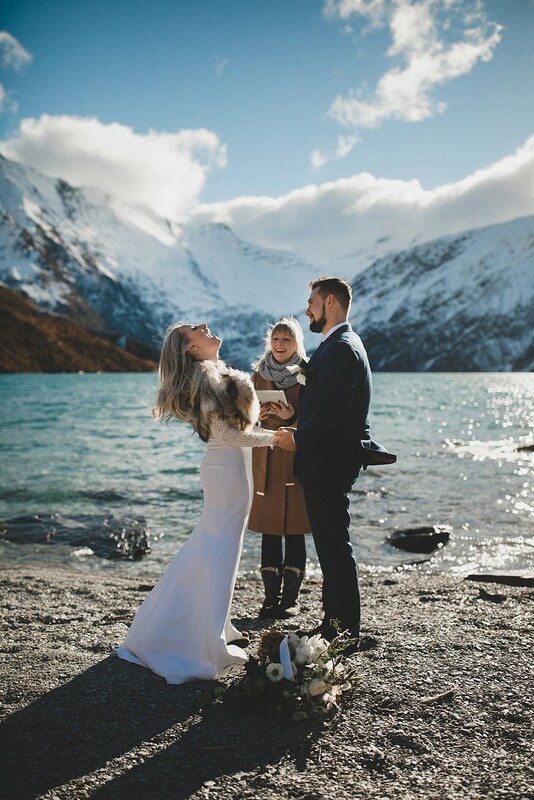 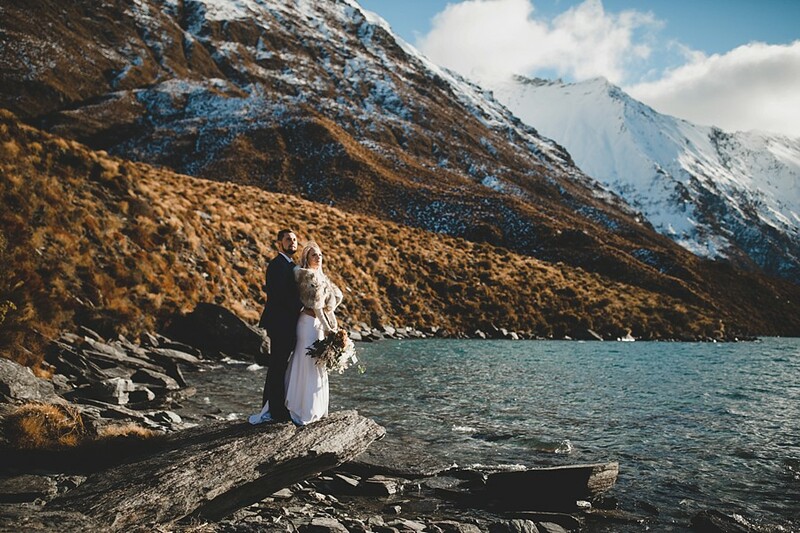 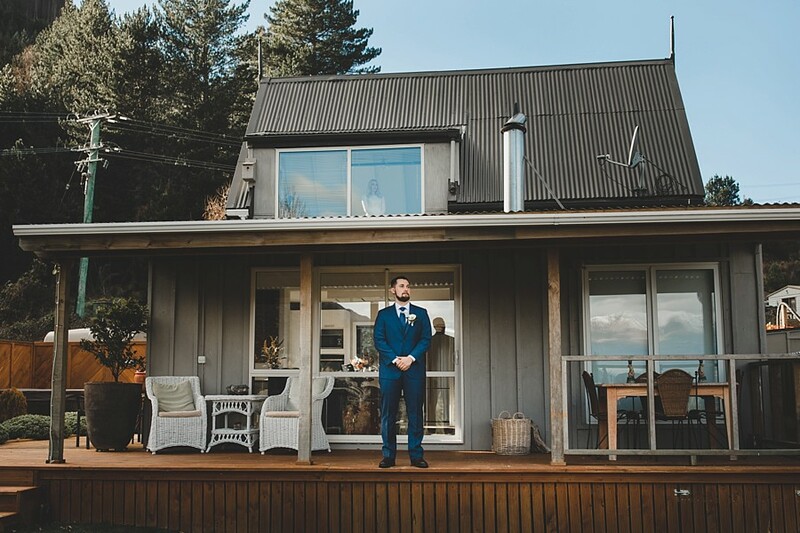 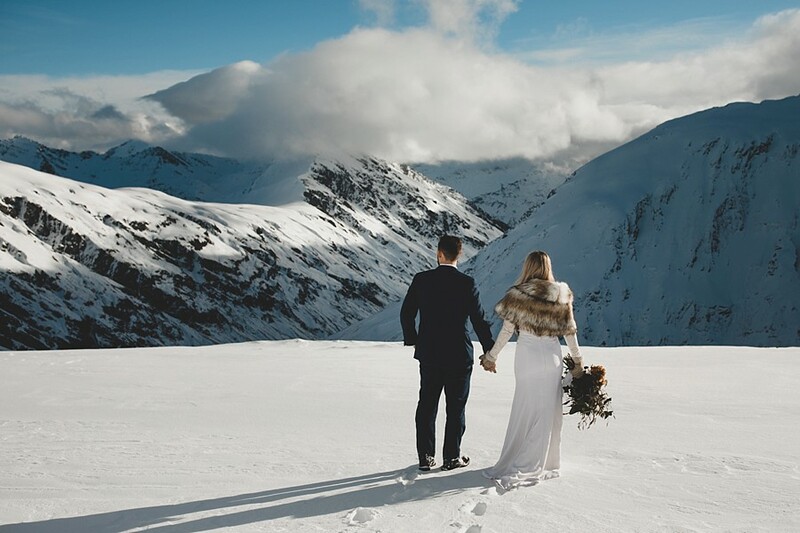 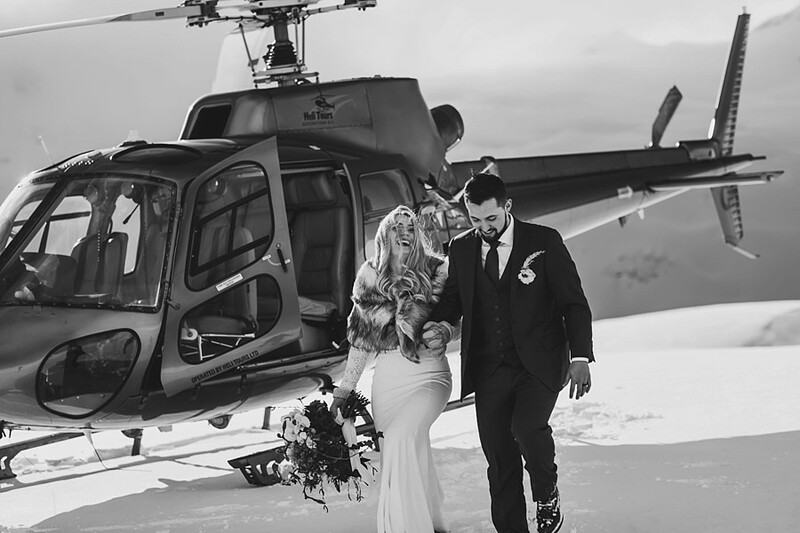 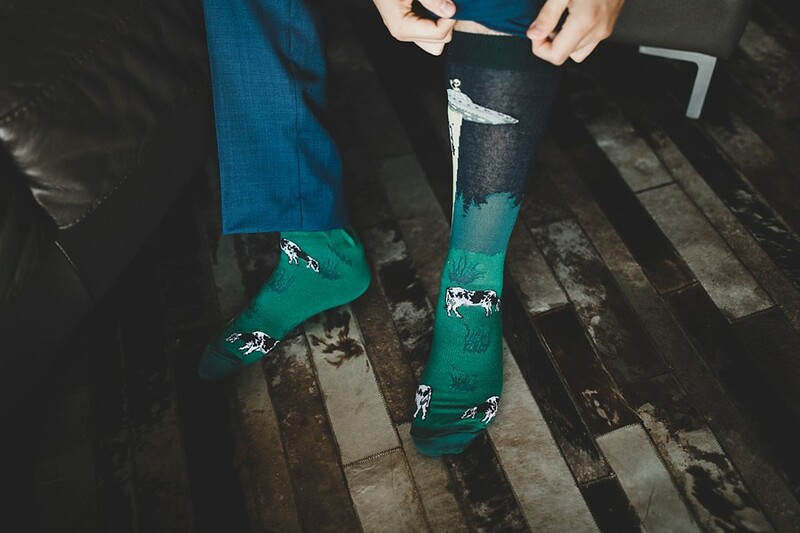 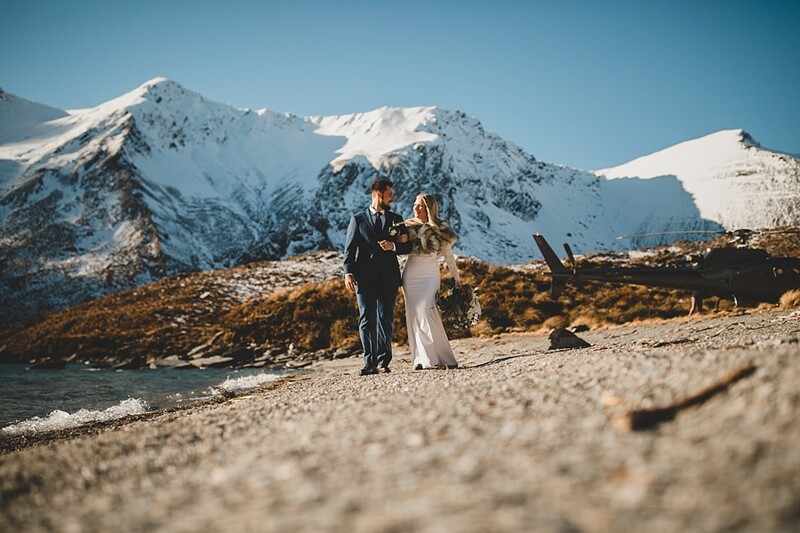 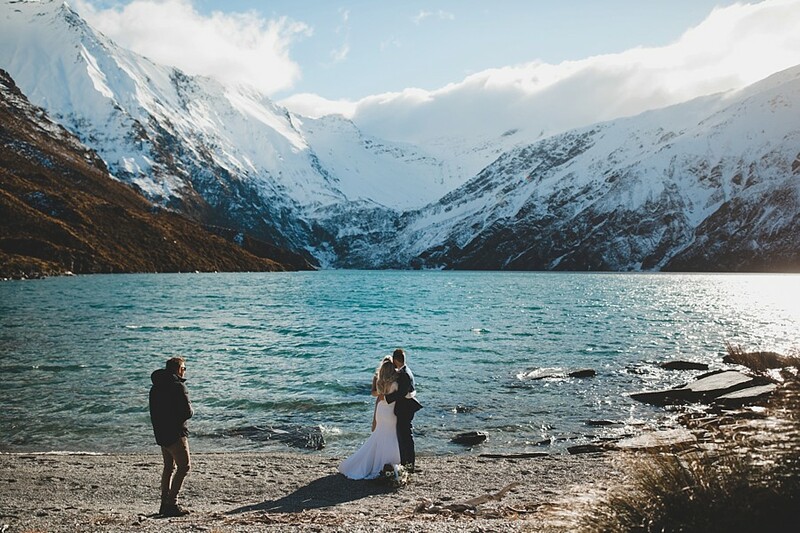 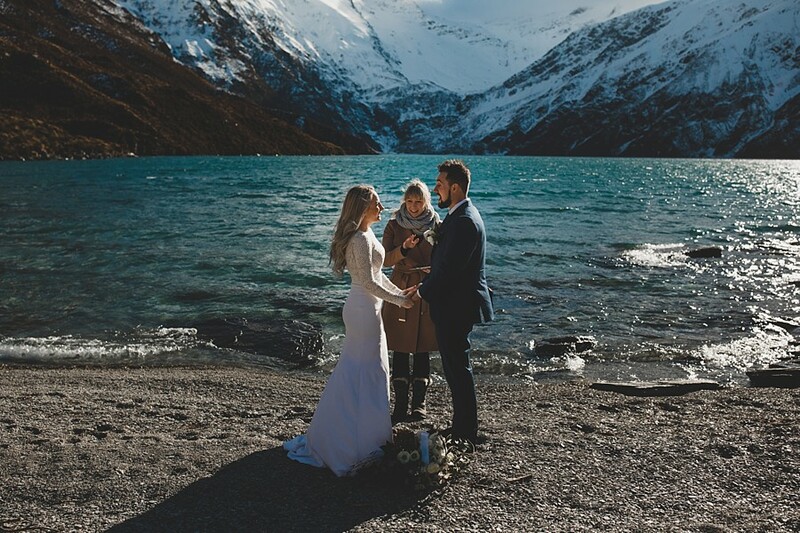 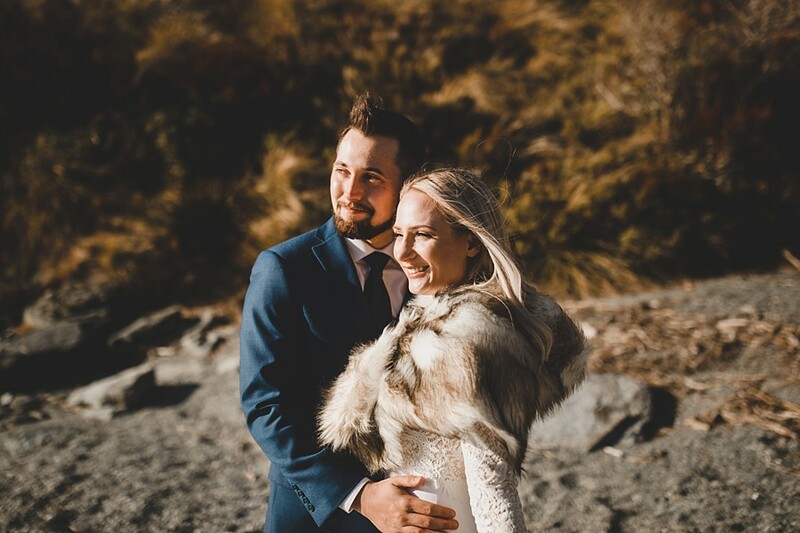 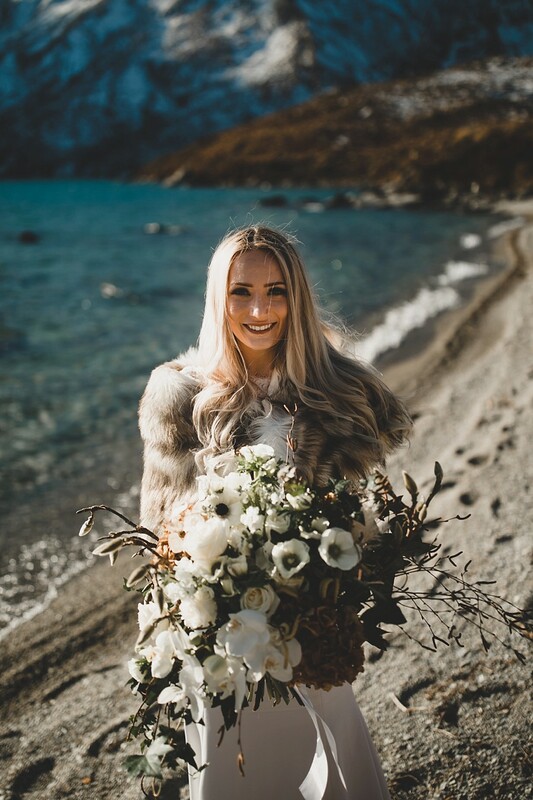 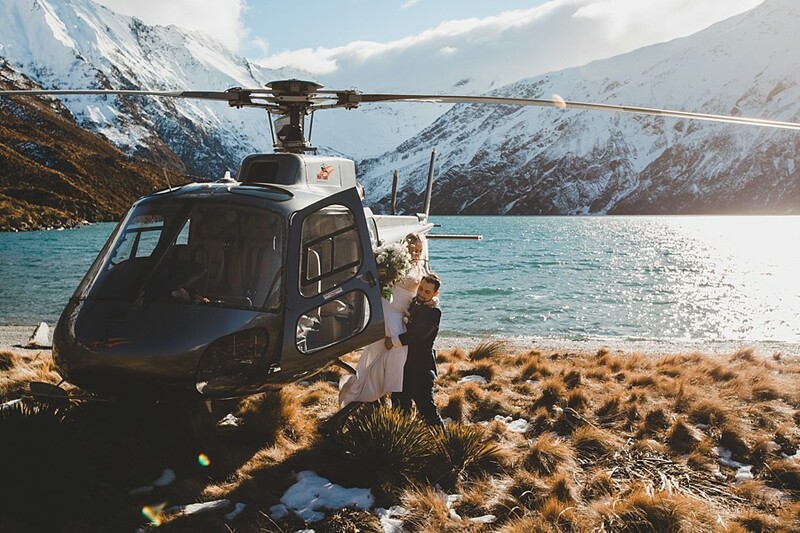 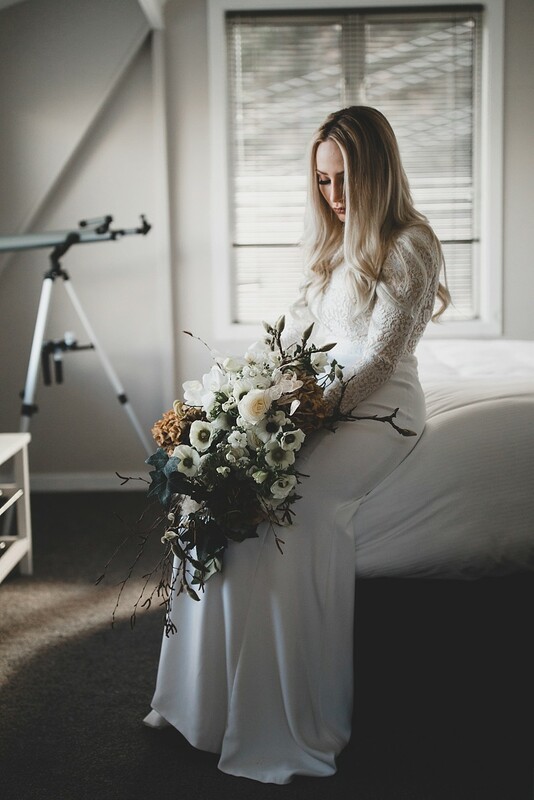 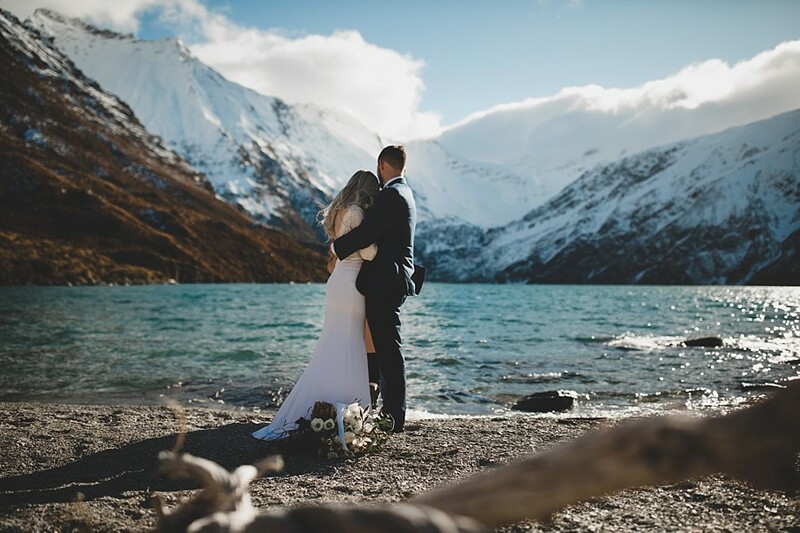 Alyssa and Nicholas travelled over from the United States of America, for a winter wedding in Queenstown. 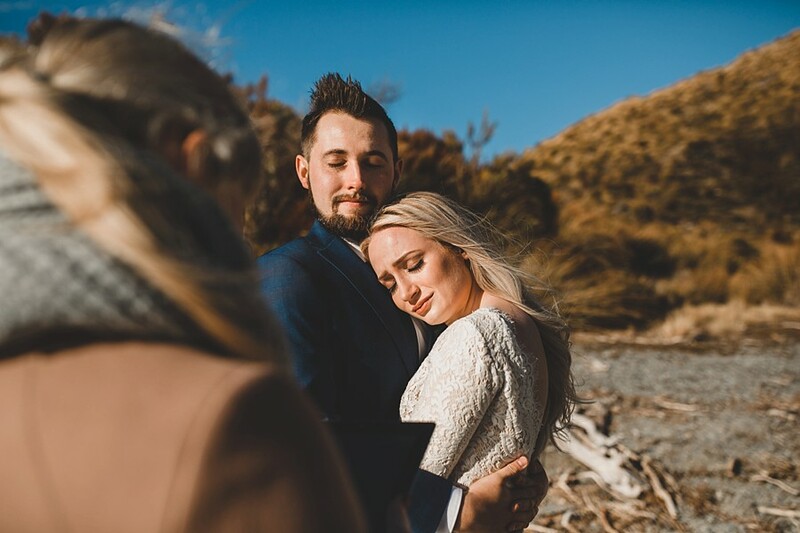 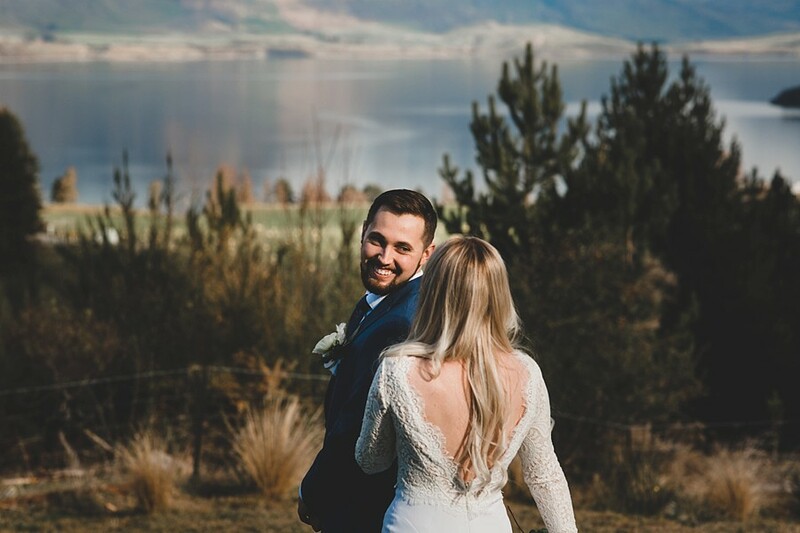 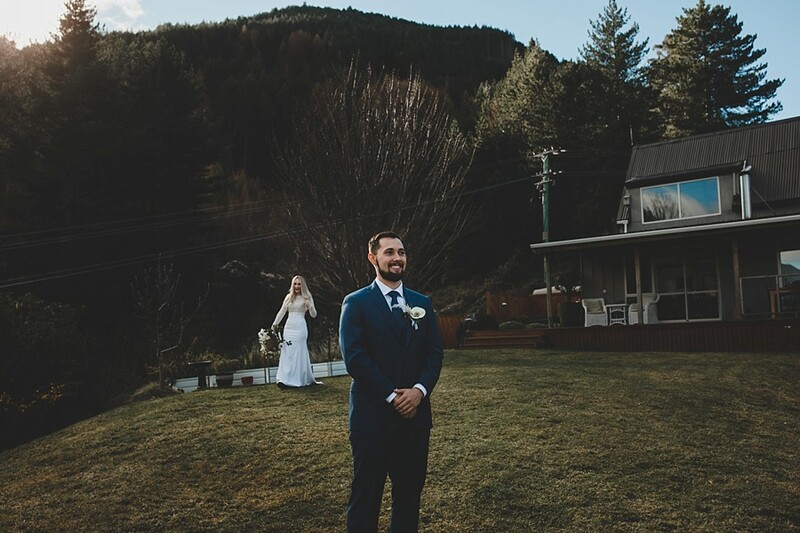 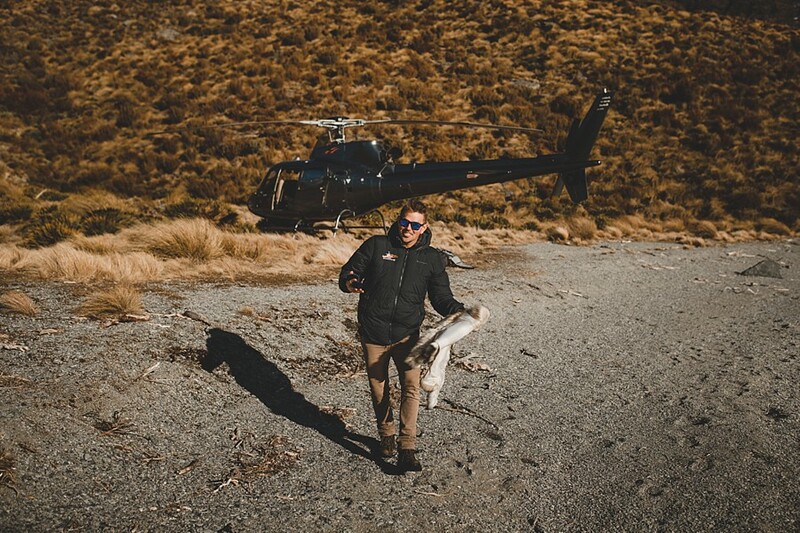 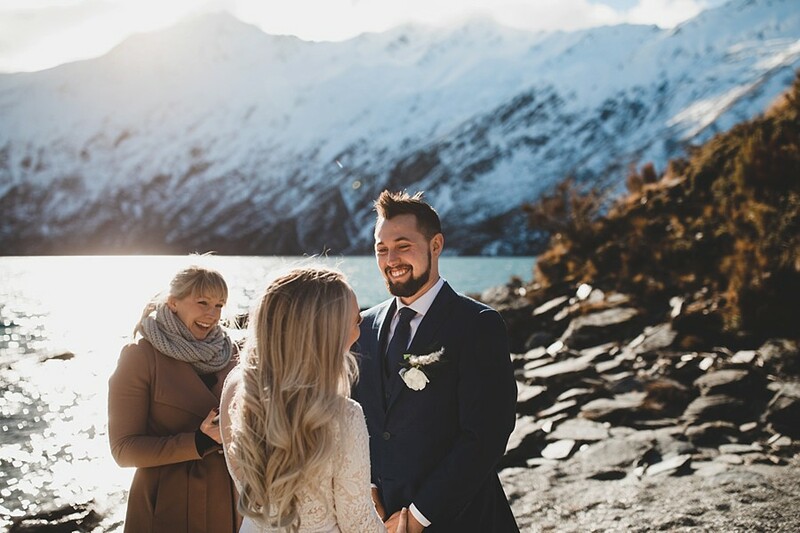 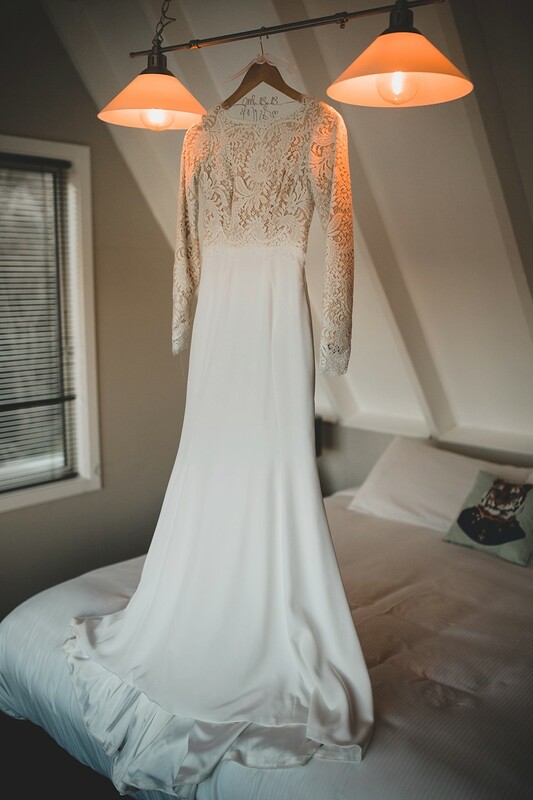 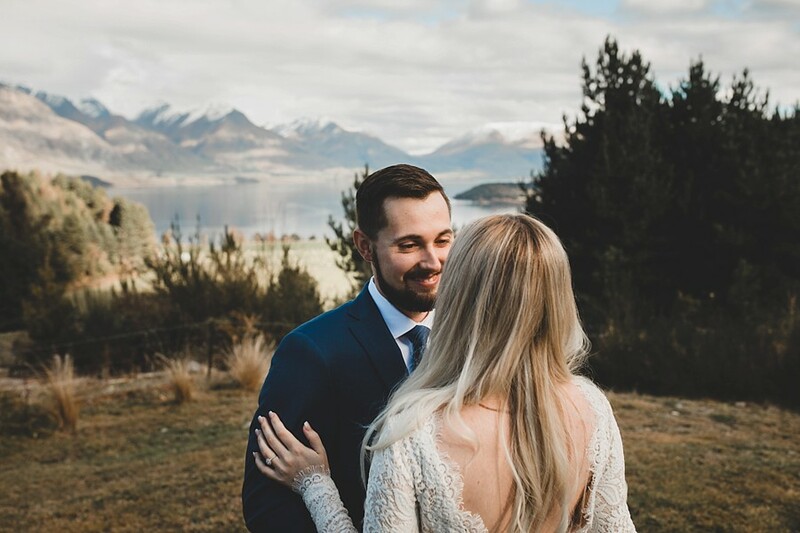 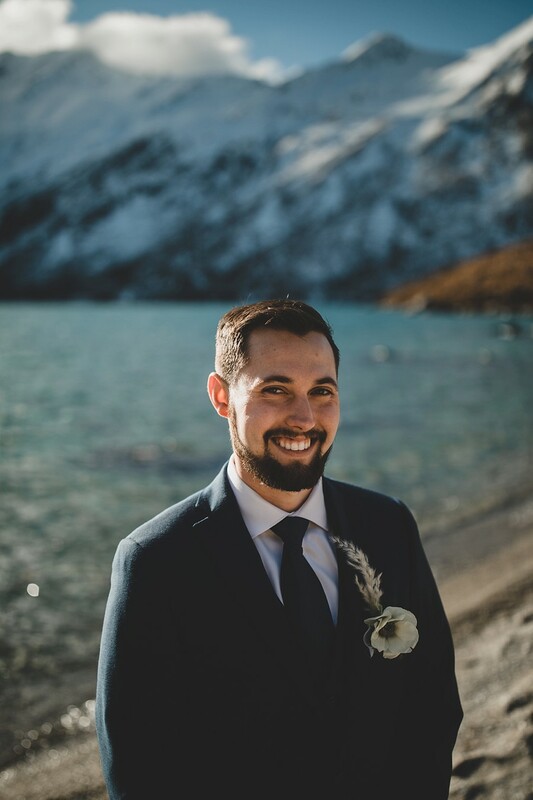 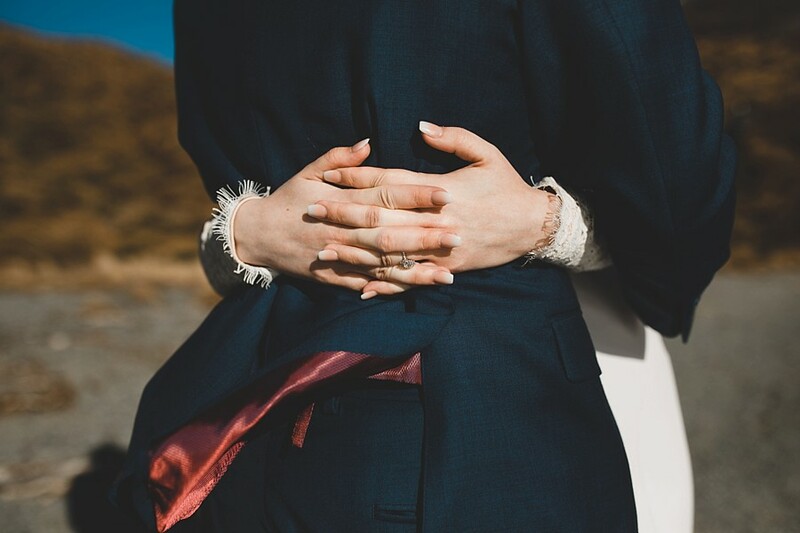 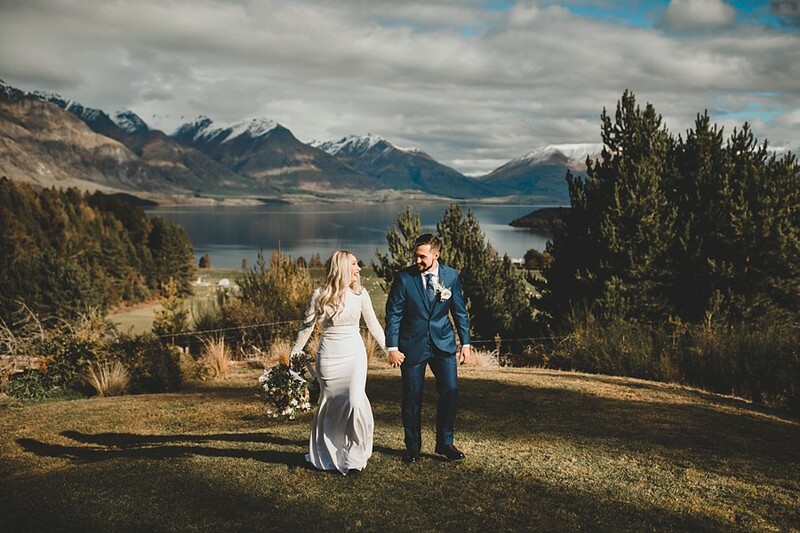 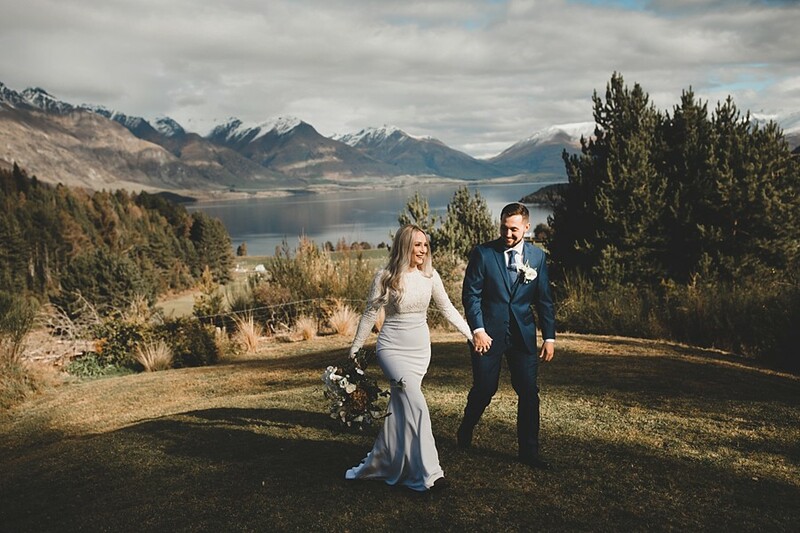 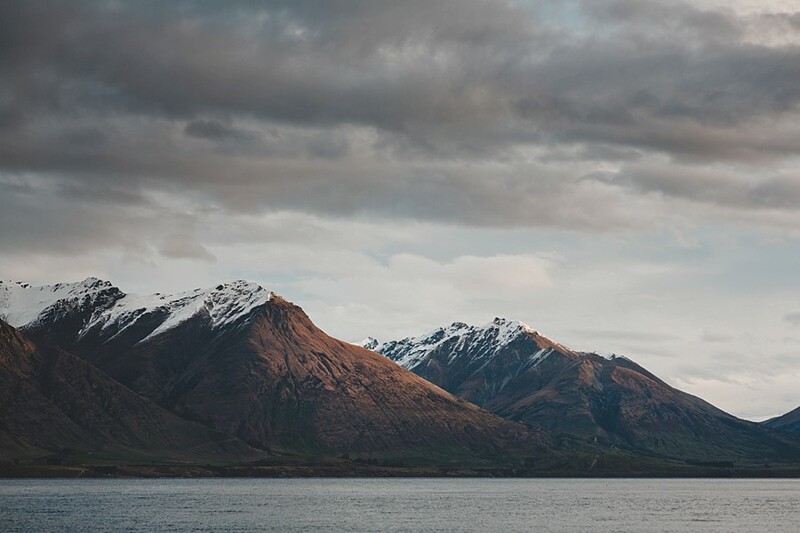 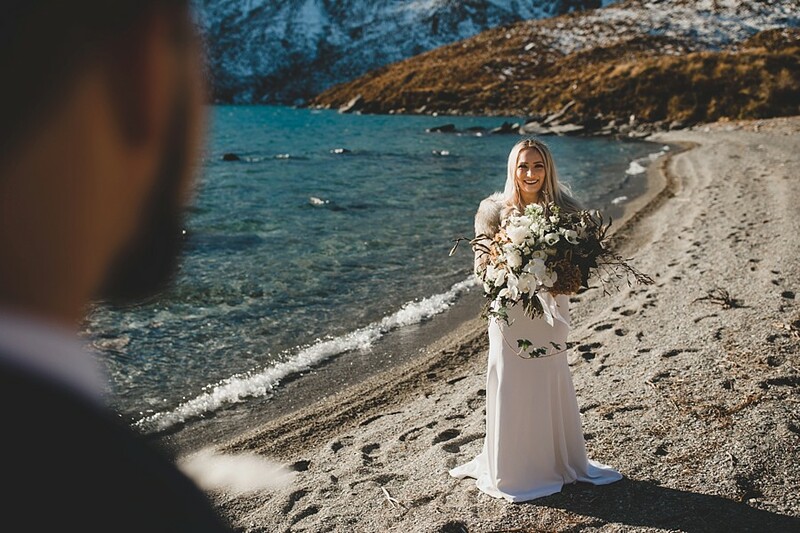 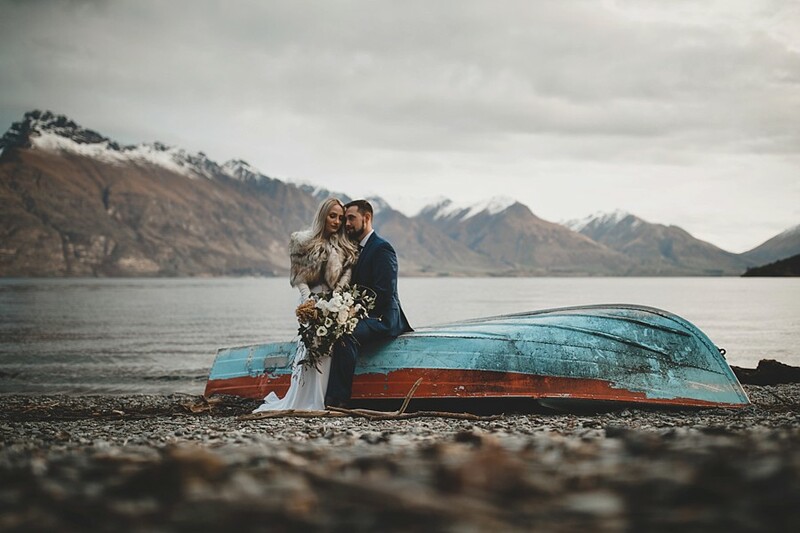 They booked out a gorgeous airbnb in Closeburn, which overlooked Lake Wakatipu, and provided a nice backdrop for their first look. 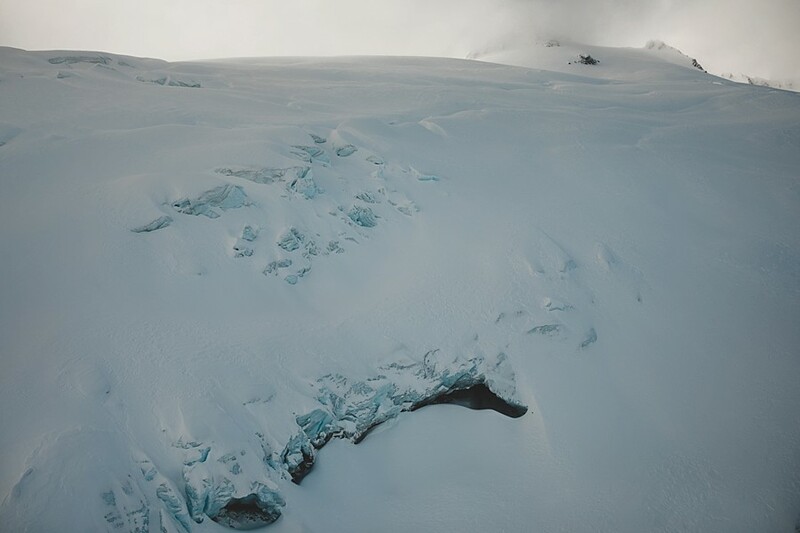 We flew deep into the mountains to Lochnagar, a pristine alpine lake. 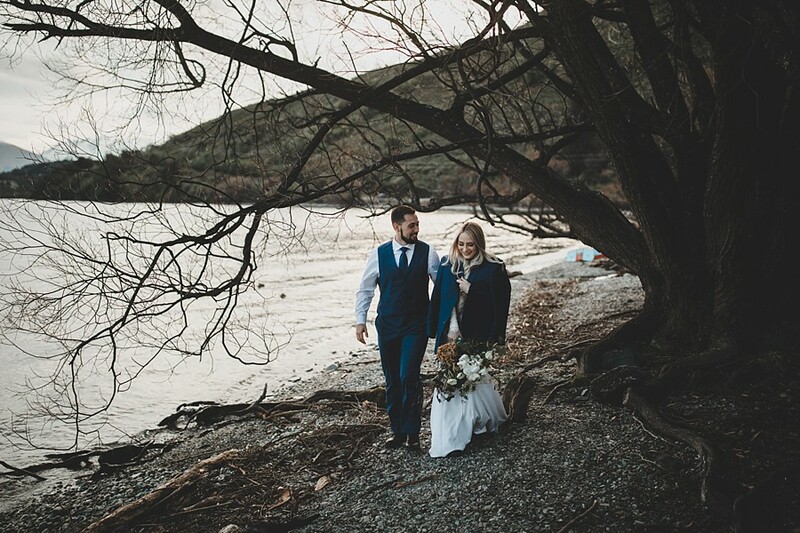 The lake was windswept, providing more beauty, but also a bit of a chill in the air. 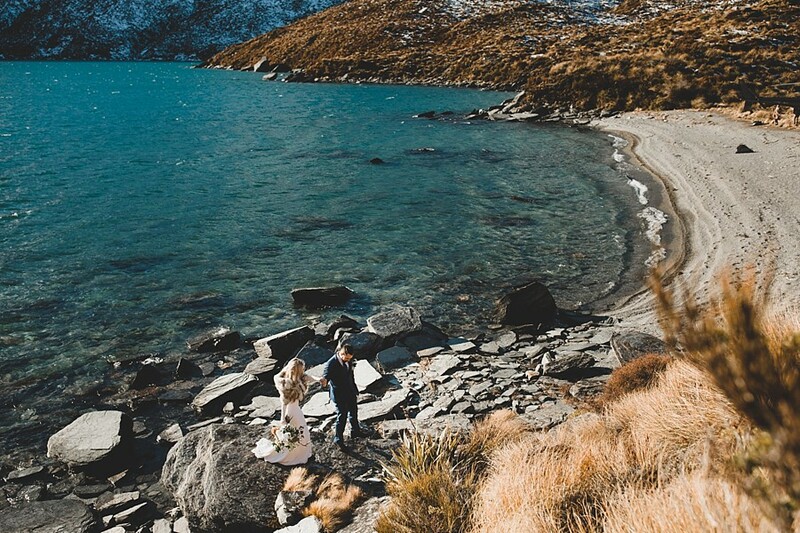 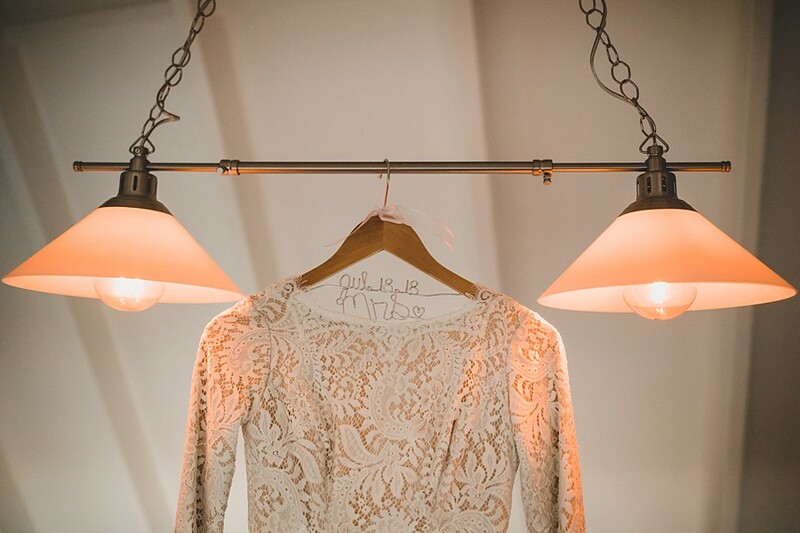 Perfect for an intimate wedding ceremony and lots of cuddles. 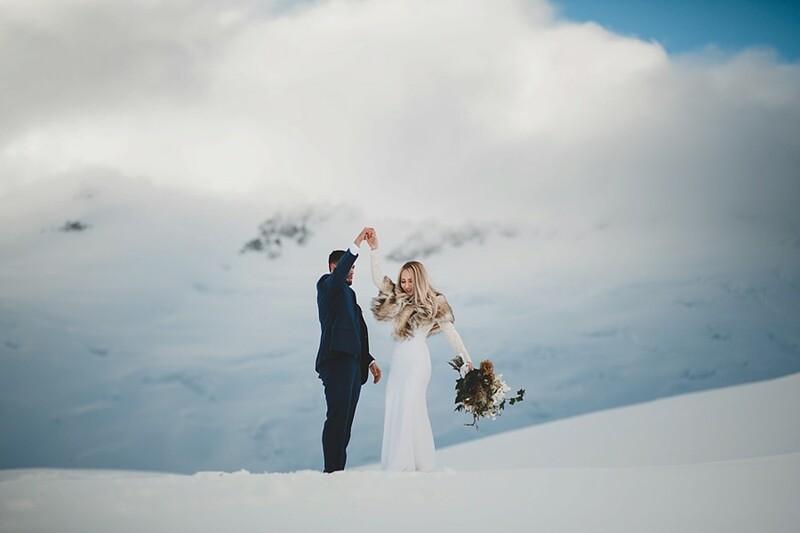 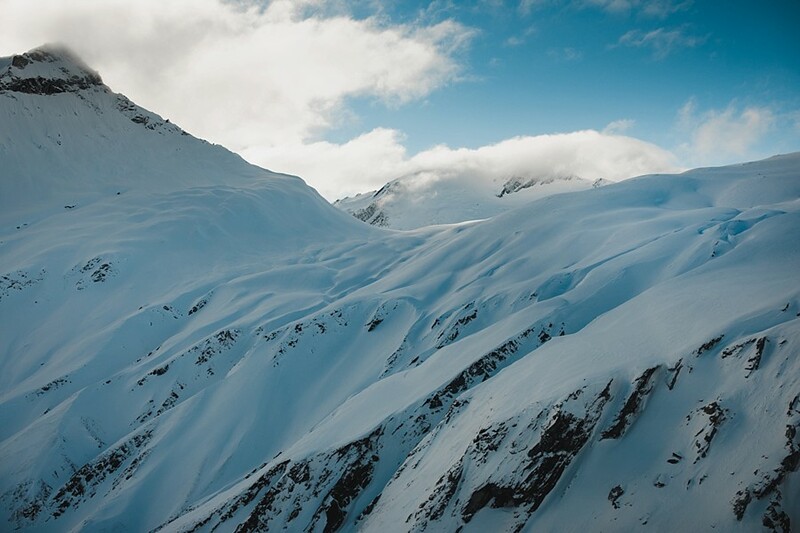 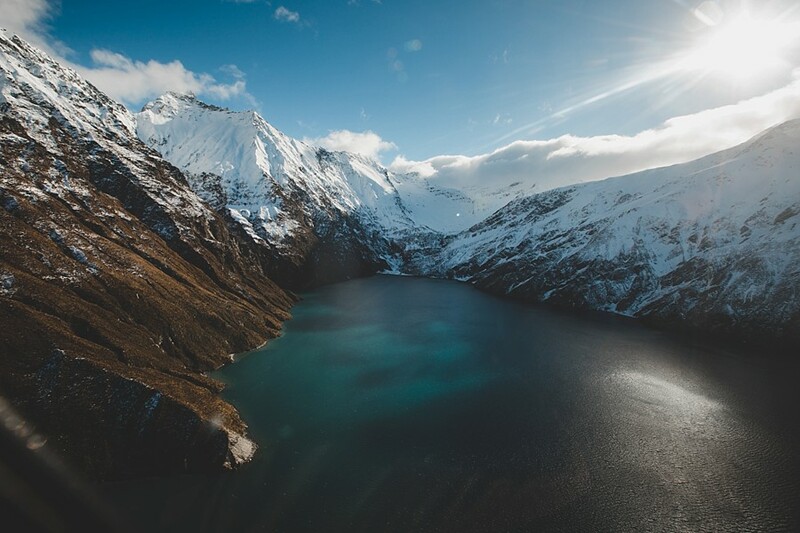 Alyssa and Nicholas also wanted a gorgeous snow landing, so we had a couple of ideas in mind, and went with Tyndall Glacier, which looked incredible.